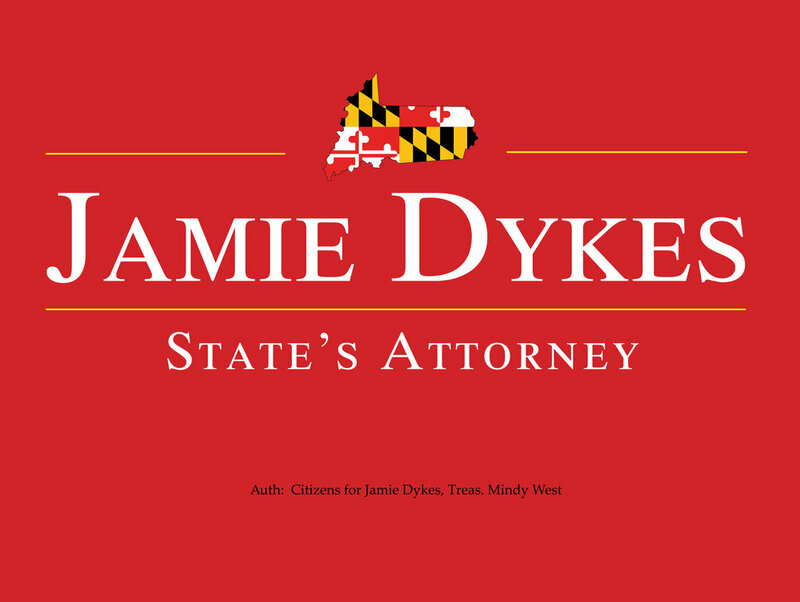 After announcing her candidacy for State’s Attorney on August 11, 2017, Jamie Dykes was selected as and sworn in as State’s Attorney for Wicomico County by the Circuit Court on December 1, 2017. Since December, Jamie has led her team of prosecutors, investigators, victim-witness coordinators and support staff to make Wicomico County a safer place to live, work and raise your families. We have successfully prosecuted eight homicides, keeping the most violent offenders off the streets of Wicomico County for decades to come. We have also successfully prosecuted child sexual offenders, rapists, armed bank robbers and those profiting in the sale of narcotics, all of which impact our quality of life. Jamie wants nothing more than to continue to lead the people working hard to ensure your public safety and to continue that mission. Jamie’s focus is and will remain the pursuit of vigorous and fair prosecution of criminal offenders, by seeking justice and safeguarding the innocent.